How was your weekend? We sure hope it was great and personally, we enjoyed all that talks and speculations about the upcoming Update 68 and the new partnership. 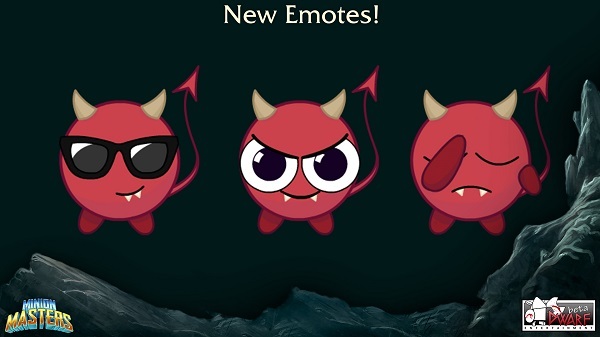 Looking at the new week, we're definitely just as excited as you are about all the amazing changes and new features coming to Minion Masters and about a new Dwarf arriving in Denmark on June 14th. We saw a lot of talks and speculations about the Battle Pass and Card Glory. So let's shed some light into the dark, shall we? Please note that the following pictures and used numbers could be different when Update 68 finally hits the live server. So take the following as subject to change at any point. 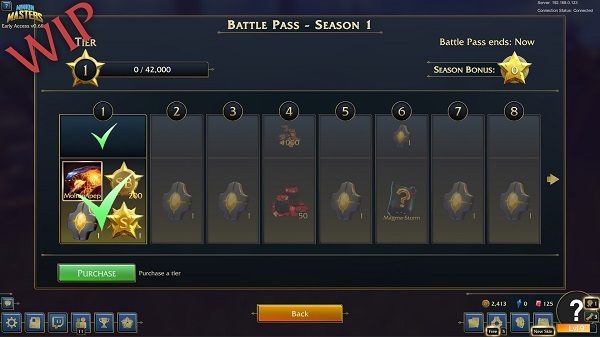 The Battle Pass will be available for 1.500 Rubies (approximately $10). This price unlocks the full path and thus access to the premium rewards. But you still need to progress through the tiers. The Battle Pass and Card Glory are connected. Card Glory is - so to speak - the driving progression force. 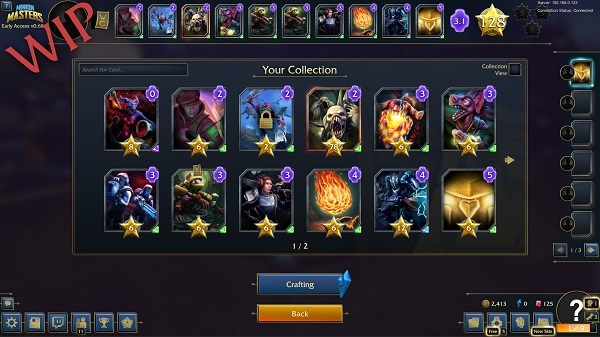 The amount of Glory a particular card has, will be indicated by a star below the card art. But how does it actually work? 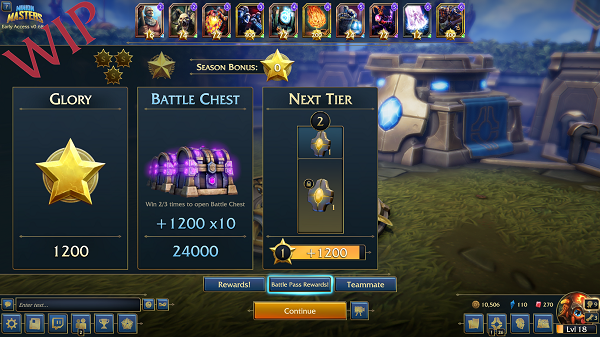 To boost your Battle Pass XP further, once a day there's a Battle Chest. Every time you win, XP based on your Glory (see the example above) will be put into the Battle Chest and after 3 wins, it opens and gives a massive Battle Pass XP boost. In our example from above, the Battle Chest would give you: Deck Glory (2.400) * 3 wins * 10! We hope that we could cover the most important questions with that overview. If there are still open questions, please don't hesitate to use the known communication platforms such as our official Subreddit, Community Discord or the Steam forums. What's else is coming with Update 68? To express the evil inside you! We need something left for the patch notes, right? Don't forget our Dwarf stream on Tuesday, June 12th at 20:00 UTC, where we will talk - and maybe even look - some more about Update 68 and other exciting news. Why not following our channel already, so you can't miss us going live anymore? Please note that we are trying to push Update 68 this week, but we have no ETA right now. It might be later than Wednesday, therefore. Also, the card stats and details will be revealed in the patch notes. Hi Sprite, nice to have you again! This time though, not as a community member only. You’re actually starting to work for BetaDwarf and I’m sure our community wants to know a bit more about the person behind That Sprite. Would you introduce yourself, therefore, please? Hey, my real name is Jason, I’m 22 years old from the United Kingdom, and I just finished my University studies under the course of Games Computing. I’ve been involved in gaming for a long time, generally been casting for over 5 years now, and I suppose all that has finally got me somewhere! If I’m not mistaken, you will start your first day at BetaDwarf on June 15th. What’s your position in the team and your responsibilities? I’ll be working as BetaDwarf’s dedicated Quality Assurance Masochist. My responsibility is going to be finding those game breaking bugs before they go live (Missing animation on Rampage comes to mind) and generally trying to break the game and its features once regular tests have been completed. My job is basically to really annoy the programmers by pointing out what needs fixing. How did it come to your application for said position? Well, I was streaming one afternoon during my exam period to let off some steam and casually brought up that I’d need to start looking into getting a job and going out into the real world soon. Tengs, the BetaDwarf E-Sports Coordinator was watching at the time and referred me directly to the BetaDwarf application page. I checked out all the jobs on stream and discussed that I thought I would be a good fit for the QA role and applied as soon as I finished my stream. Could you explain the process of getting a job at BetaDwarf Entertainment for someone that might be interested? Well it all starts with having the courage to just go for it. I updated my CV to fit my University degree and wrote a Covering Letter with as many positive references regarding the game and my hobbies as I could and sent it to UncleOwnage. After that I was offered a video interview with him and BaboonLord where they asked me a bunch of personal questions about my studies to help fill in the gaps that the basic application could not fill in, as well as get a feel for how I’d tackle the job role. From there it was just a matter of solving the puzzle of getting me to the office. Overall it was a really smooth process, and I would definitely recommend anyone that’s interested in applying to give it a shot. As a Dwarf now, will we still see you casting the King Puff Cup tournaments and maybe even hosting more own tournaments? Absolutely! I have no intention of departing from the competitive scene, casting has been one of my favourite activities for years and I’ll always be willing to lend a hand to the game I love. As for tournaments I run myself, well, I might need a bit of time to settle into Denmark first, but I’ve been given some positive encouragement from some individuals to keep running them. 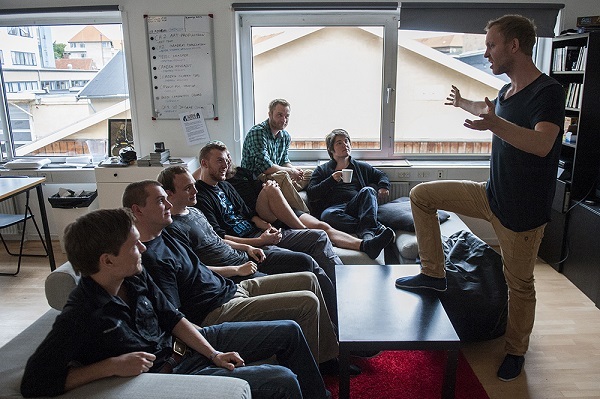 What are you excited about the most, when your first working day at BetaDwarf starts? Getting to put faces to the names I’ve been interacting with for a year and a half now! Knowing so many members of the team on Discord is one thing, getting to know them for real will be an entirely new experience. I want to give shoutouts to my family most importantly, who have been supporting me all the way in making my dream happen with this job. I also want to shout out Tengs for motivating me to apply for this role out of the blue, and to all of the active members of the Twitch and Discord community who’ve supported me this entire time. There’s far too many of you to list, but I want you to all know how much you’ve helped me define my future now. Here’s to a long run at BetaDwarf and to a thousand slaughtered bugs! That's all for today, Masters! May the Card Glory be with you as soon as Update 68 hits and we'll see you on the flying arenas (hopefully with all that fancy new effects coming with the card frames).